Home Chiropractic What is Kinesiology tape or Rock tape? Recently Dr Paije went to a seminar on Rock tape. 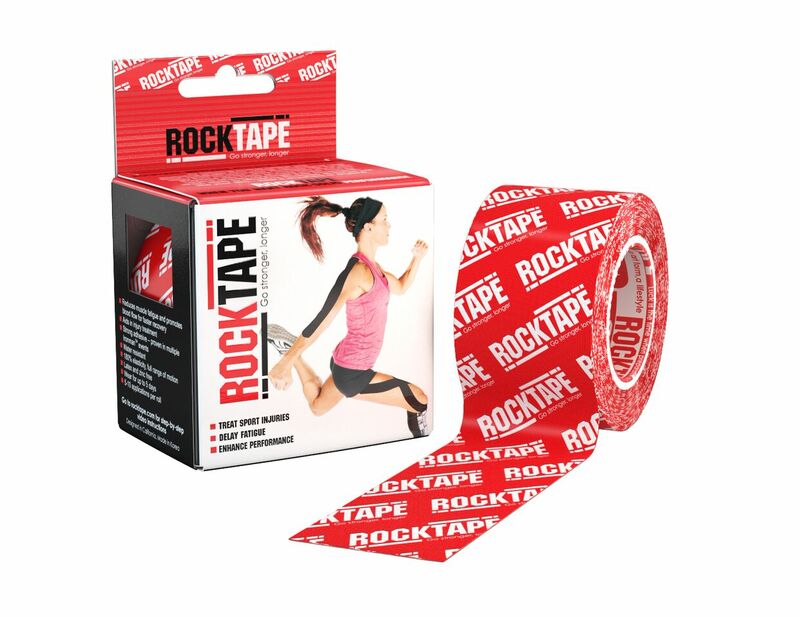 Rock tape is a type of kinesiology tape. It is the colourful tape you see on many athletes at the Olympics and is very different to the regular athletic strapping tape. It is a rehabilitation tape that is designed to facilitate the body’s healing process while providing stability and support to the muscles and joints without restricting range of motion. There are 3 key uses for kinesiology tape. It can offer structural support, correct postural problems, and it can increase blood flow and lymphatic drainage. When the tape is applied correctly, it creates a very small space, separating the muscle from the dermis layers. This space takes pressure off swelling or injured muscles, allows smooth muscle movement by allowing a smooth glide between tissue layers, has a neurological affect by altering the perception of pain and improving body awareness and it allows for ideal drainage and blood flow to injured tissues. When the tape is applied in a particular way, it has the ability to re-educate the neuromuscular system, reduce pain and inflammation, optomise performance, prevent injury and promote good circulation and healing. It may be used for muscle pain/cramping, poor posture, inflammation/bruising. It can be used for conditions such as shin splints, plantar fasciitis, and back pain among others.